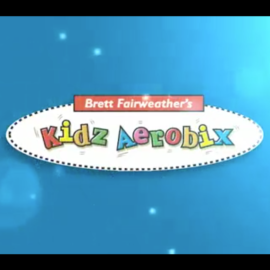 The JUMP JAM aerobic program is a ‘Kidz Aerobix’ resource kit for schools, created by 2x World Aerobic Champion Brett Fairweather, specifically for primary and intermediate students and teachers. Designed to challenge fundamental movement skills, increase fitness, develop student leadership & motivate students to move and enjoy exercise, All the music sourcing and choreography has been done. This resource is simple to use and fun for teachers and students. JUMP JAM is a fusion of dance & fitness disciplines along with cultural interpretations that capture the look, attitude, posture and elements of Aerobics and Fitness. JUMP JAM is continuously transforming and redefining itself with each new generation of music. Since the JUMP JAM programme was developed in May 2000 it has been adopted by over 90% of New Zealand Primary Schools and it is also now being enjoyed in Singapore, Australia and some International schools. Undoubtedly, this programme is successful because it is so much FUN. Experience this first hand on this video clip! Now available is Jiggle Jam for the Year 0 and Year 1 students. This resource teaches and introduces your students to, timing, rhythm, counting, cross crawling patterning, coordination, imagery, directionality, fine and gross motor skills, indigenous cultural movements, Maori language, moderate to vigorous cardiovascular fitness, a mat routine for posture and upper body exercises and our final routine offers slow and gentle movements for hand eye coordination, balance and calmness. Jiggle Jam is a fusion of dance & fitness disciplines along with cultural interpretations that capture the look, attitude, posture and elements of Aerobics and Fitness. Jiggle Jam has been designed specifically to motivate children to move and enjoy exercise. This resource is created by Brett Fairweather for 3 to 6 year-olds. In a recent *study in US schools it showed that, if you schedule aerobic activity before your most difficult learning objective, students retained more information. The study also proved that physically active students achieve 2x higher academic scores than those who are not physically active. Schools where students participated in regular aerobic activity showed a measurable reduction in disciplinary problems. Invariably JUMP JAM receives rave reviews! Check out the Testimonials page. In this website you will find everything you need to get a good understanding of JUMP JAM and if you are a school teacher, to get the programme up and jumping in your school. If your school does not yet hold a JUMP JAM licence, please contact us on orders@kidzaerobix.com and we will provide you with an order form and pricing for our JUMP JAM start up kit along with a password to the members page. To provide a quality, fun and exciting kids aerobics program to schools and early childhood education centres, that will motivate our children to enjoy exercise thus promoting health and wellbeing with our school communities.